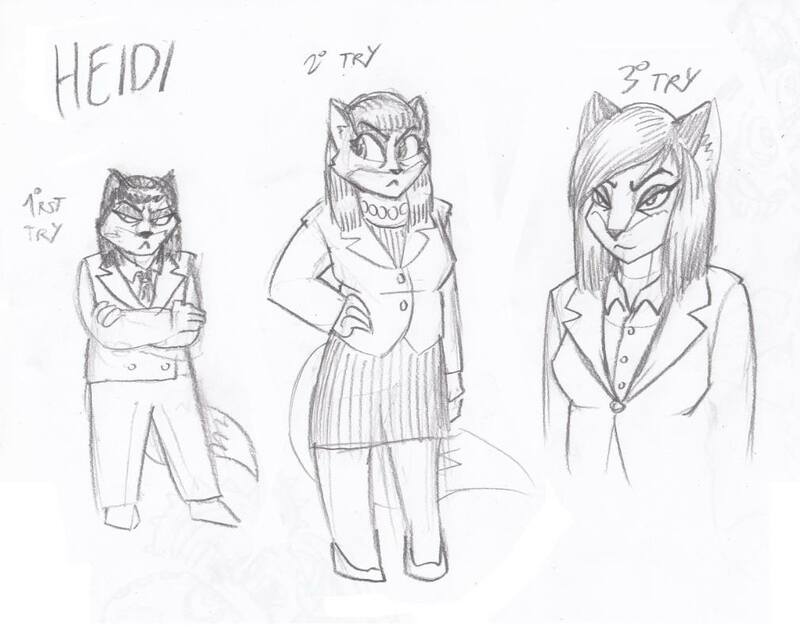 Some more art, courtesy of Mr Ceranic. 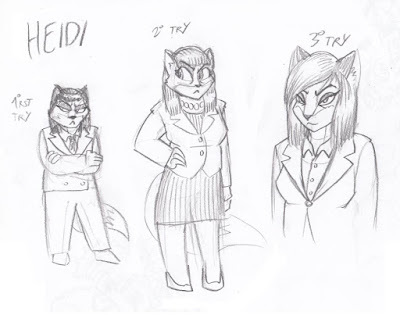 These are some test drawings of Dan's superior, Heidi. I wanted a character who was opposed to Risa: someone who has clearly seen better days, and is not an action heroine. We toyed with the idea of weight, as you can see, as well as her formal attire.